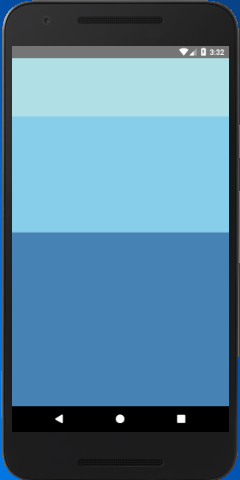 The height and width determine the size of component on the screen. There are two different ways to set the height and width of component: Fixed Dimensions and Flex Dimensions. Using fixed height and fixed width in style is the simplest way to set the dimension of the component. The dimensions of React Native component are unit-less, and they represent density-independent pixels. Setting the dimension of component with fixed size is common and exactly the same size, regardless of screen dimensions. The flex property styles the component to expand and shrink it dynamically according to available space. Setting flex: 1 will fill all the available space to the component, and shared evenly among the other components of same as the parent. Higher the flex value, occupy component higher ratio of space compared to its siblings.